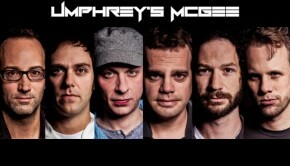 Now eleven albums into their genre defying 20 year career, Umphrey’s Mcgee are a difficult band to pin down. Their live shows have always been the focal point, and with well over 2,000 performed to date, they know what their large fanbase want from them – variety. Their emergence from the ‘jam band’ scene, home to the likes of Phish, moe and Widespread Panic in the wake of the Grateful Dead, has led the Indiana sextet to reinforce the fan experience and create a worldwide community, offering CDs of their sets, which feature significant improvisation, immediately after they are played and other unique opportunities to their followers. 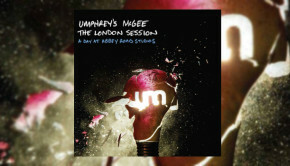 The live shows are at the cutting-edge of both music and technology, offering immersive innovations whilst blending multiple genres into an unmistakable Umphrey’s experience. For It’s not us, the meaty stomp of opening song and lead single The Silent Type morphs into the more angular eccentricities of Look, before a breather in the bluesy form of Whistle Kids. It’s accessible yet meticulously put together, covering a lot of ground whilst delivering the band’s trademark melodic approach. As such there is something for most people here in a warm and engaging listen. As well as being a highly skilled group of musicians and song writers, they’re also very clever in the way the music is put together, tricksy without underlining the fact as at first it is the smoothness that hits you, but on closer inspection the details are what makes it work as each man contributes exactly what is required, and nothing more, as evidenced in Half Delayed. Maybe Someday and Remind Me stretch things out with syncopated rhythms and some lovely guitar work from Brendan Bayliss and Jake Cinninger, a nice funky edge coming through on Remind Me before it morphs into a darkly sinister headlong charge and some epic rock strutting, the song closing a million miles from where it started. After all that the easygoing country feel of You & You Alone, softly picked guitar and piano, is a lovely contrast, strings adding depth in the second half. Forks is a bizarre little diversion, the jerkiness of the rhythmic backing matched against the smoothness of the harmony vocals and somehow managing to work. It’s both dense and light as a feather, all at the same time. Brass and a sassy funk take things off in a new direction again on Speak Up with sax from jazz luminary Joshua Redman. Piranha is infectious and with real bite (ouch! ), which brings us to Dark Brush, the most inventive piece on the album and, in my opinion, worth the price of entry on its own, loads going on and expertly put together with balls and edginess to spare. Of course, it’s not prog, per se, but the genre hopping helps it to fit under the wider umbrella, the improvisational aspect certainly helping to stretch the sound. The band still have a hunger for experimentation, the wide-eyed exuberance shining through in the music. It’s not us is certainly a dynamic listen, fresh and with well written songs. 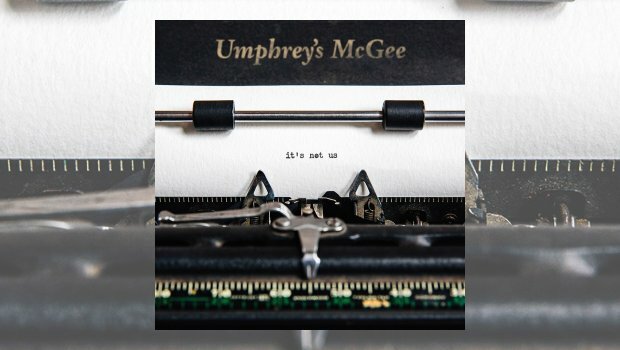 Umphrey’s McGee have the musical muscle to take it anywhere they like, but at the heart of it all are the songs, the key to the band’s success and all beautifully crafted. They really have not put a foot wrong with this one.